Who would you say is the most significant person who has ever lived? Dave Stotts takes us on his most exciting adventure yet as he tells the story of Jesus from the locations recorded in the Gospels of Matthew, Mark, Luke, and John. Dave travels to over 50 ancient sites in Israel to deliver the Gospels in a fresh and compelling way. As Dave uncovers the evidence for the truth of scripture, he encourages all of us to get excited about reading the Bible again! These 18 action -packed episodes delve into the history, archeology, geography, and art surrounding the birth, ministry, death, and resurrection of Jesus. Like you've come to expect from Drive Thru History®, these shows are fun, adventurous, and family-friendly. However, we think there is no better educational coverage of the Gospels available today! As a bonus, Dave takes you and your family on a unique driving tour of Israel to experience the actual places where Jesus traveled and taught. This series of Drive Thru History is nearly nine hours of captivating content designed for all ages. The shows can be used as family entertainment, a small group study, a Sunday school curriculum, or a homeschool supplement. In this special edition package, Dave has also included a 118-page study guide through all 18 episodes, full of beautiful images and graphics. We open in Jerusalem and discuss the impact of Jesus over the last 2,000 years. We present the set-up for the arrival of Jesus in the context of Jewish and Roman history. We travel to Nazareth and present the four different Gospel writers, Matthew, Mark, Luke, and John. We learn the importance of genealogies as they related to a promised Jewish Messiah. We stay in Nazareth and investigate the Annunciation, where the Angel Gabriel delivered very special news to a virgin girl named Mary. We explore the concepts of angels, miracles, and the importance of the Virgin Birth. We discuss the Roman census and the trip by Joseph and Mary to Bethlehem. We examine the importance of Bethlehem in the ancient prophecies about a coming Messiah. We visit the Church of the Nativity in Bethlehem and take a look at the accounts of Jesus’ birth. We examine the birthplace of Jesus and the accounts of shepherds in the fields nearby. We explore the journey of the "Wise Men" from the East, known as Magi, and the Star of Bethlehem that summoned them. We investigate the date for Jesus’ birth and the importance of Christmas traditions throughout the centuries. We delve into the world of Herod the Great at the time of Jesus’ birth. We examine the “slaughter of the innocents” in Judea. We visit a number of awesome archaeological sites in Israel built by Herod, including the massive Herodium about seven miles south of Jerusalem. We learn about the escape of Joseph, Mary and Jesus to Egypt until Herod’s death. We travel to Jesus’ hometown of Nazareth where he later grew up. We start with the world of Jesus’ youth after the death of Herod the Great. We delve into the Roman occupation and its impact on the Jewish people. We learn about John the Baptizer and his ministry of repentance in the wilderness. We experience the baptism of Jesus at the Jordan River and his testing in the Judean desert shortly thereafter. Jesus returned in the power of the Spirit to his hometown of Nazareth, where his own people ultimately rejected him. We travel with Jesus to the Sea of Galilee, where he later settled in Capernaum. We explore the ruins of the synagogue and the house of Peter at Capernaum, and we walk the shores of the Sea of Galilee where Jesus called fishermen to be his first disciples. We visit Chorazin, another location in Jesus’ ministry. We examine Cana and the first miracle performed by Jesus at a wedding feast. We learn about ancient Jewish weddings and other cultural rituals. We follow Jesus to Jerusalem, where he occasionally travelled during special Jewish festivals. He gets angry at the treatment of the temple in Jerusalem and he confronts the religious elites. Jesus meets a Pharisee named Nicodemus and delivers a very special message about eternal life. We travel to Samaria and learn about the history of the Samaritans. We learn the story of the Samaritan woman at the well. We again travel to Jerusalem and investigate two pools where Jesus performed special miracles. We learn that Jesus brings Living Water. We hear Jesus proclaim himself as the Light of the World. We visit the hillsides of Galilee and hear Jesus deliver the Sermon on the Mount. We walk the Mount of the Beatitudes and explore many of Jesus’ radically new teachings. We learn about salted fish at Magdala and Roman roads at Hippos. We delve into Jesus' use of parables, including many of the most famous delivered by Jesus during his ministry. Jesus chose twelve apostles from his group of followers. We spend time on the Sea of Galilee and see Jesus calm the waves as he traveled the ancient harbors. We visit Bethsaida and learn about the feeding of 5,000 Jews. We visit the region of the Decapolis and investigate the feeding of 4,000 Gentiles. We explore Kursi and the account of Jesus sending a legion of demons into a herd of pigs. Jesus even walked on water. We travel north to Caesarea Philippi, where Jesus started to wrap-up his public ministry. We hear Peter’s Confession and Jesus’ powerful response. We witness a mountaintop miracle known as the Transfiguration, and we investigate two locations for this event. We learn about a number of coins referenced in the Gospels, as Jesus embarked on his final trip to Jerusalem. Jesus journeyed for the last time to Jerusalem. On his way, he spent time with children and confronted a rich young ruler. We are reminded of the “clash of kingdoms” between God and man. We spend time with Mary and Martha in Bethany and experience the raising of Lazarus from the dead. We meet Caiaphas the High Priest and learn that Jesus was a wanted man in Jerusalem. Jesus visited Jericho on his final approach to Jerusalem. We experience the accounts of Bartimaeus, the blind beggar, and Zacchaeus, the tax collector. Mary anointed Jesus at Simon’s house in Bethany, and Jesus borrowed a donkey at Bethphage. We witness the Triumphal Entry of Jesus through the Golden Gate into Jerusalem. We learn that Jesus was considered the Good Shepherd. Jesus looked ahead to later times, when not one stone will be left standing at the Temple Mount in Jerusalem. Judas Iscariot set his terms of betrayal with the religious leaders, while the other apostles prepared the Upper Room for Passover. We experience the Last Supper between Jesus and his closest followers. Jesus prayed in the Garden of Gethsemane. He was betrayed by Judas and arrested by the Jewish authorities. Jesus was taken before the religious leaders, including Annas and Caiaphas. He was denied three times by Peter. Jesus was taken before Herod Antipas and Pontius Pilate. He was convicted of blasphemy and sentenced to death. We experience the horrible torture of Jesus and his agonizing execution just outside the walls of Jerusalem. We examine the nature of crucifixion and the importance of Jesus’ death. We explore Jesus’ seven statements from the cross. We investigate the locations for Golgotha and the tomb of Joseph of Arimathea. We experience the preparation of Jesus’ body and the security placed at the rolling stone tomb. We share in the excitement of an empty tomb three days after Jesus’ death, visiting Jerusalem to investigate the accounts of the Resurrection. We explore the Jewish and Roman responses to such a miraculous event. We walk the Road to Emmaus and witness certain followers’ reaction to the resurrected Jesus. Jesus appeared to his disciples over a period of 40 days, including at Galilee where he gave them a Great Commission. We finish with the four faces of the Gospels, the different biographical perspectives on the life of Jesus. We reexamine the Messianic prophecies and visit Qumran in the context of the Dead Sea Scrolls. What is the legacy of Jesus’ followers?  What is the summary of the “Good News” of the Gospel accounts? Dave gets personal and ties it all together. I’ve spent over 15 years traveling the world to share the awesome stories of history at the sites where they happened. I’ve journeyed through America, Europe, Africa, and the Middle East to uncover the people, places and events that shaped our world and the Christian faith. My passion is teaching history, on-location, in the context of adventure. 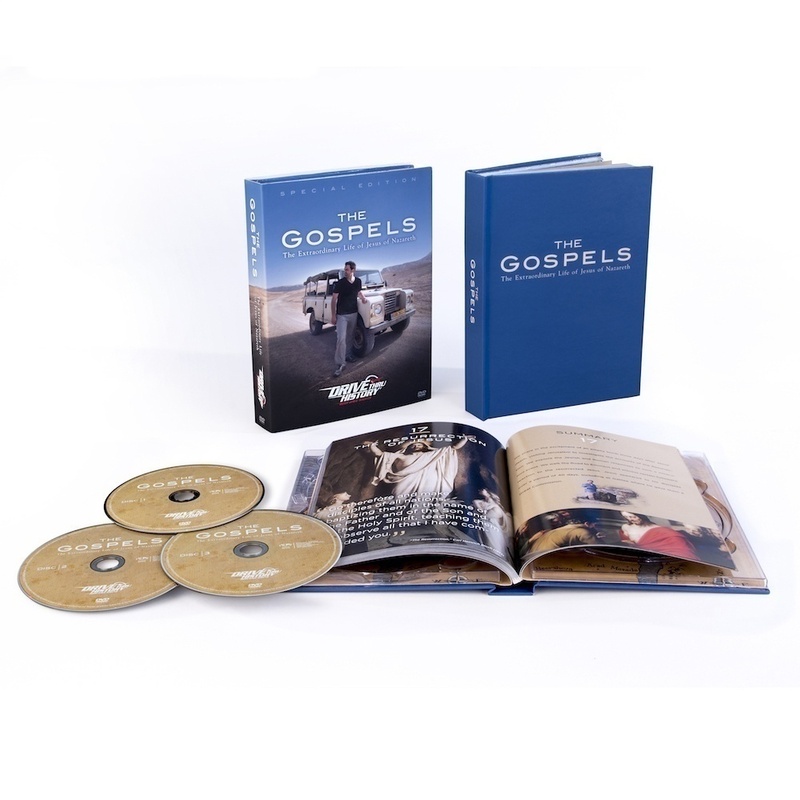 My latest project, Drive Thru History®—“The Gospels,” is my greatest adventure yet! 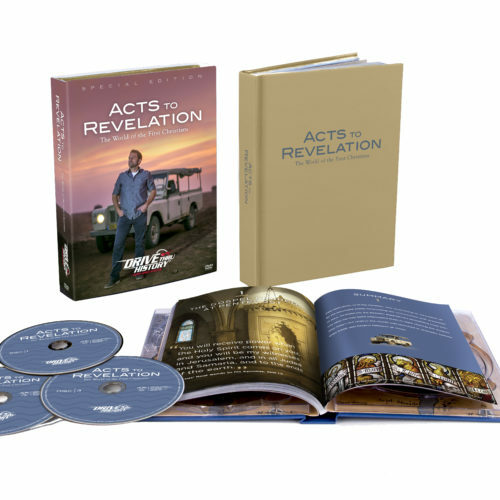 I was blessed to spend about two months driving around Israel in a ’76 Land Rover, uncovering the most widely read collection of history in the last 2,000 years—Matthew, Mark, Luke, and John. What an incredible journey, exploring the evidence for the stories surrounding the most significant person in history—Jesus of Nazareth.